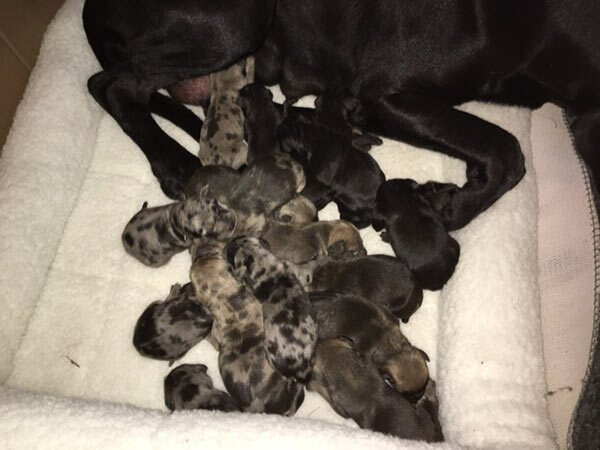 A family was a little surprised when their three-year-old Great Dane, Oakley, and their two-year-old Catahoula Leopard Dog, Trooper, had a litter of 17 puppies. 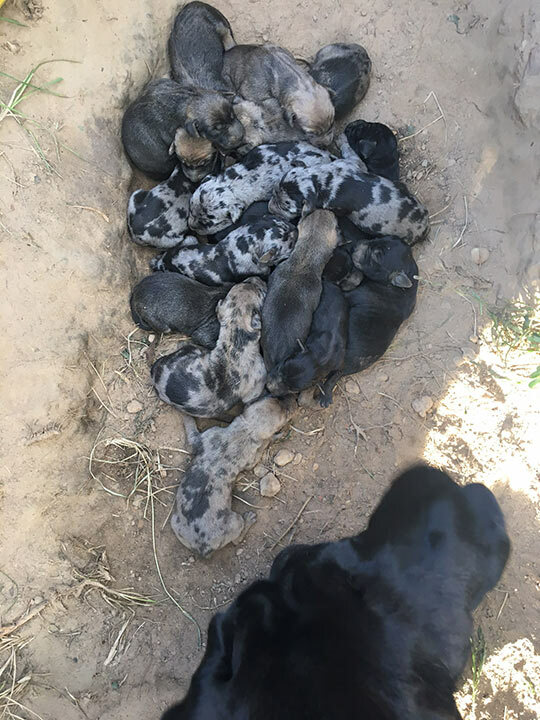 KINGWOOD, TX (KTRK) -- When it comes to pet families, there's a litter of puppies, and then there's a LITTER of puppies. 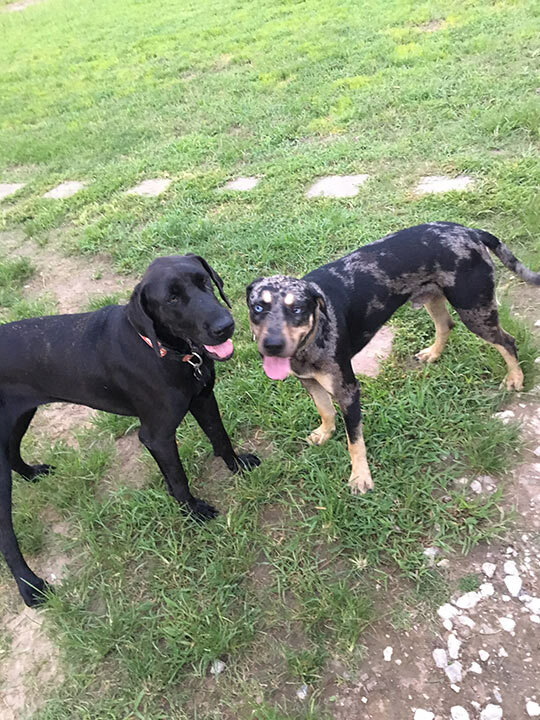 The Johnson family in Kingwood, Texas, knew their family of beloved pets was about to grow, but they had no clue just how much it would grow. 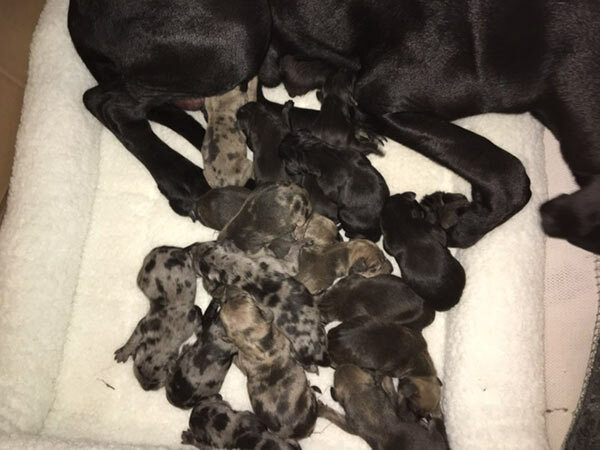 But on Tuesday evening, they got 17 new members. 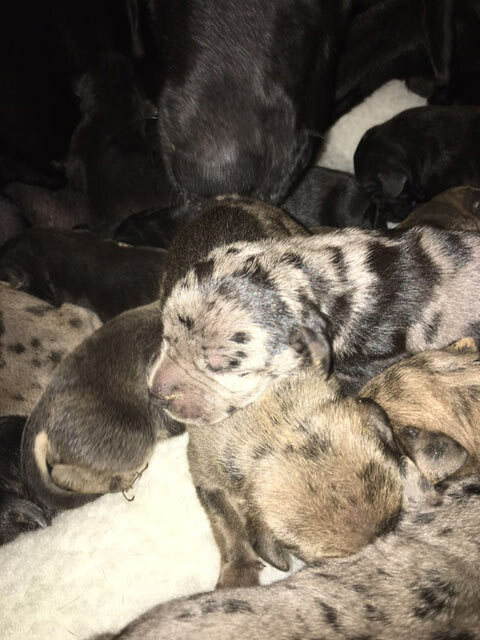 Stephanie Johnson told Eyewitness News her family's three-year-old Great Dane named Oakley was expecting puppies with their two-year-old Catahoula Leopard Dog named Trooper. 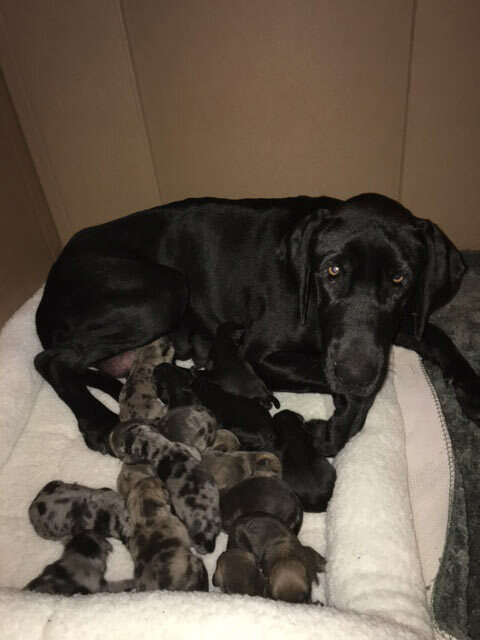 Oakley gave birth to the 17 puppies late Tuesday, and while it's not official, the big birthday may match a Texas record. 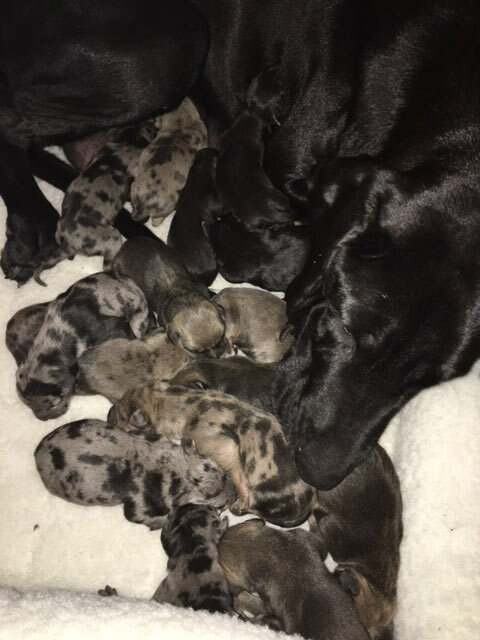 The Johnsons, a family with five children, are now pondering how to spread the puppy love. 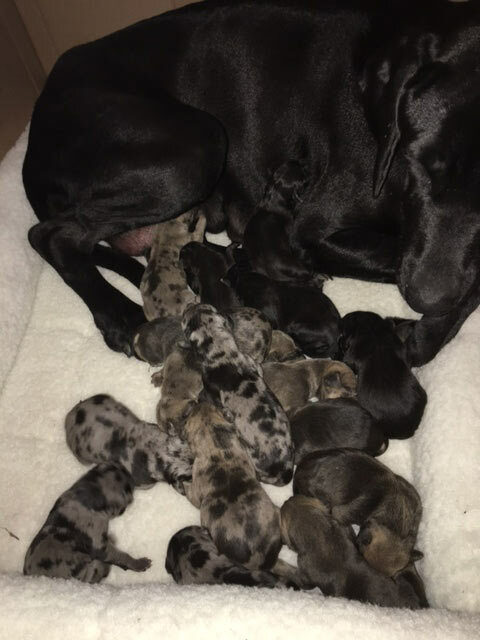 "Christmas presents!" Stephanie laughingly told abc13.